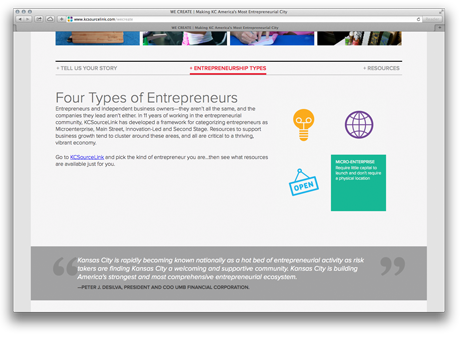 KCSourcelink partnered with GlobalPrairie and Indicia to report on the state of and entrepreneurship in Kansas City. 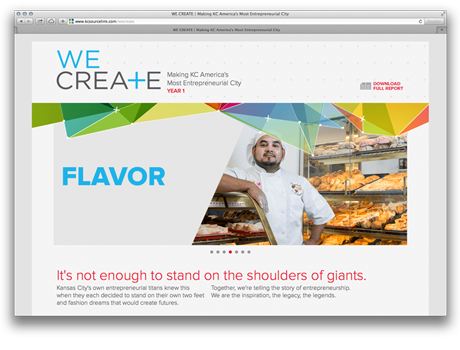 "We Create Kansas City" is an open source campaign that Indicia developed to communicate that KC entrepreneurs are fueling economic growth. 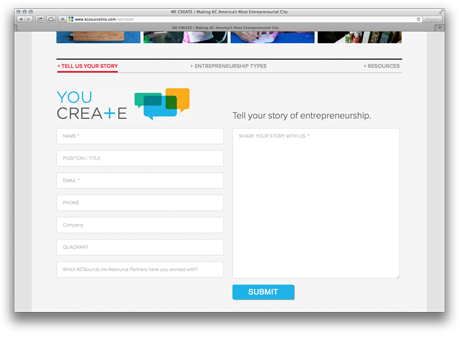 The We Create logo is meant to be used with a modifier, such as "Business," "Opportunities," "Community," "Growth," "Start Ups," etc. to convey the fact that it is the creativity of its citizens "plus" the community that leads to business opportunities, jobs, and excitement. 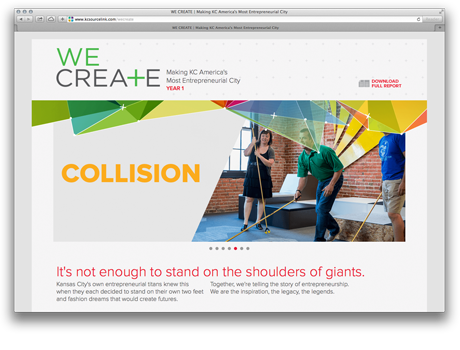 The interactive website developed for KCSourcelink features successful Kansas City start-ups and businesses, provides a list of resources for entrepreneurs in various stages of their business, and allows people to tell their own story of how they are helping to create Kansas City. 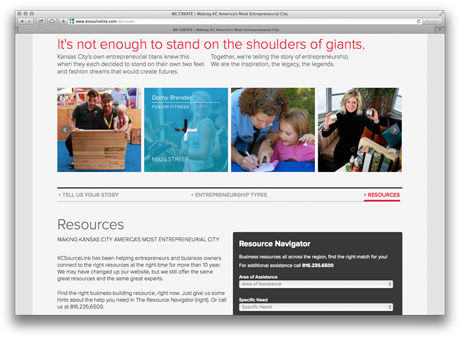 The organization reviews all submissions and features some of them on its website.